There’s the movie. The song. Now, the holiday. Today, January 23rd, is National Pie Day—not to be confused with Pi (∏) Day—celebrated by math nerds (sorry…geniuses!) the world over—which falls on March 14th . Because Pi = 3.1415926535. Get it?! On Pi Day, k-r-a-z-y things will happen, like the Massachusetts Institute of Technology releasing its admission decisions at 1:59pm. Math was never my forte. Needless to say, I’ll take pie over ∏ any day! Hmmmm. We’re not—and never will be—Crisco fans (or advocates)…however flaky a Crisco-inspired pie crust turns out. Even after Crisco reformulated their shortening products, it remains a blend of soybean oil, fully hydrogenated cottonseed oil, partially hydrogenated soybean and cottonseed oils, mono and diglycerides, TBHQ and citric acids. YUM! Note the inclusion of “partially hydrogenated” oils, which equals trans fat. In case you didn’t know, yes, the FDA allows manufacturers to list amounts of trans fat with less than 0.5g (1/2 g per serving) as ZERO on their nutrition labels. So, “0” trans fat doesn’t necessarily mean ZERO trans fat! It all adds up if you intend to eat a lot of pie…. That said, we can appreciate the sentiment to eat more pie. In our opinion: all-butter pie crusts—made with organic butter, like Cabot—rule. Want to master pie crust? Our favorite veteran baker, Mike Gonnella of Tivoli Bread & Baking Company in the Hudson Valley, shares tips for getting there. π The first pies were not made by native Americans as some might believe(!! ), but by early Romans who fashioned pie “crust” from reeds, designed only to hold the filling—not to be eaten. π The word “pie” was in the vernacular by the 14th century. π “Rye crusted goat cheese and honey pie” was the first official pie recipe, published by the Romans. π Pie immigrated to the US, along with the first English settlers, who cooked their pies in long narrow pans called “coffins”. Even in colonial America, pie “crusts” were not eaten: they simply contained the filling. Around the time of the American Revolution, the term “crust” replaced “coffin”. 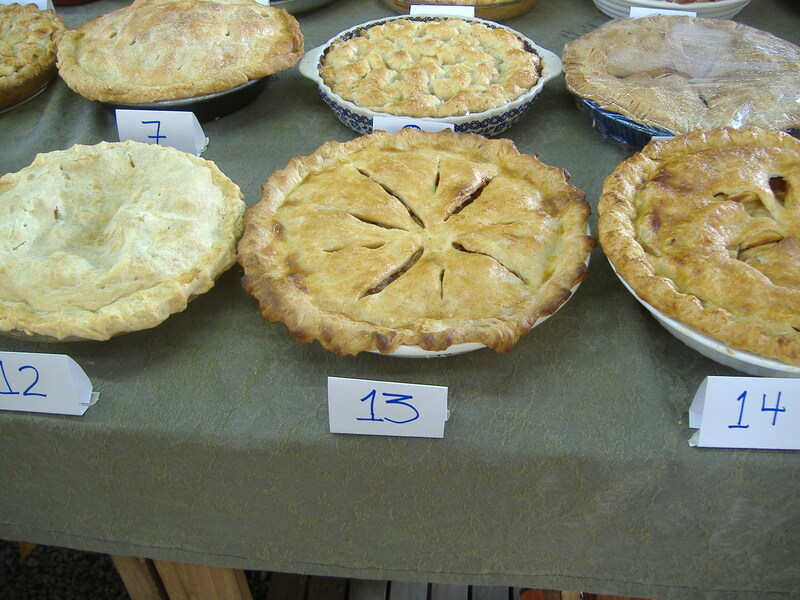 In terms of seasonal pies, we love apple and pumpkin (fall), cherry (late spring) and peach (summer). Tell us: what are your favorite pies? This entry was posted in Food, Health, Home Cooking and tagged baking, National Pie Day, pies, trans fats. Bookmark the permalink.